The recording of a substantial number of compositions by Joseph sickman Corsen, a 19th century pianist and composer from Curaçao, is an event of historical significance for music lovers on the island of his birth. Indeed, it should be of interest to musicians in the entire Caribbean region and beyond. 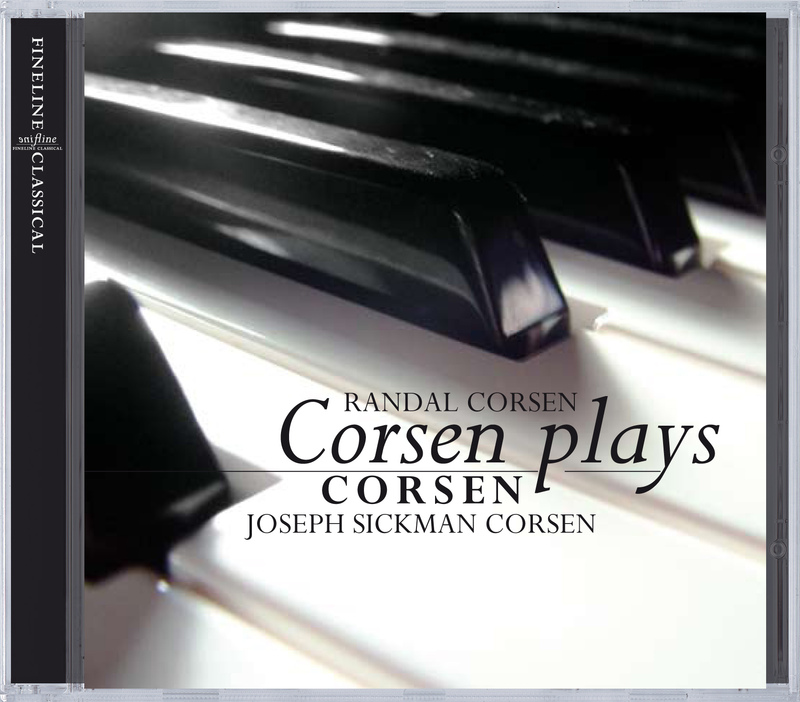 In this recording, the composer’s great-grandson, randal Corsen, performs his forebear’s music with the utmost respect and dedication, and the resulting CD is a most felicitous recognition of Corsen’s contribution to the musical heritage of the netherlands Antilles in general, and of Curaçao in particular. It took three generations for this to come about, for Corsen’s primary legacy is not as a musician, but as the poet who awakened his community’s literary interest in the vernacular Papiamentu. Until recently it was not generally known that he had earned his living as an organist and bandmaster, teaching piano and violin, and writing articles about music. the poet’s musical identity was overshadowed by that of several other composers of salon dances, a genre that evolved on the island during the second half of the 19th century. While these traditional Caribbean dances like waltzes, danzas, mazurkas and tumbas represent the most authentically Antillean music, neither Corsen nor his contemporaries were satisfied with writing only popular dance music. All wrote some “art” music besides, in which they competed not only with each other, but also with the music bequeathed them by composers such as schubert, Chopin, Liszt and Mendelssohn. In such a daunting musical environment, a composer’s mettle is put to a severe test.